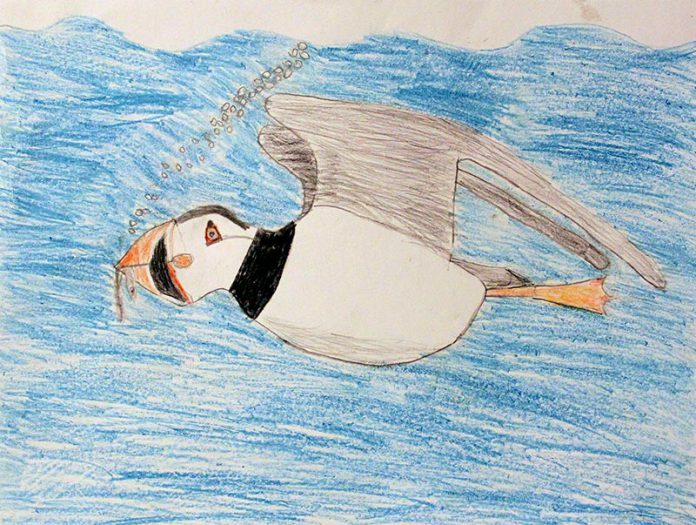 In the annual National Oceanic and Atmospheric Administration (NOAA) student marine art contest, Oak Bluffs School brothers Everett and Oliver Dorr received awards for their skillful sea creature drawings. 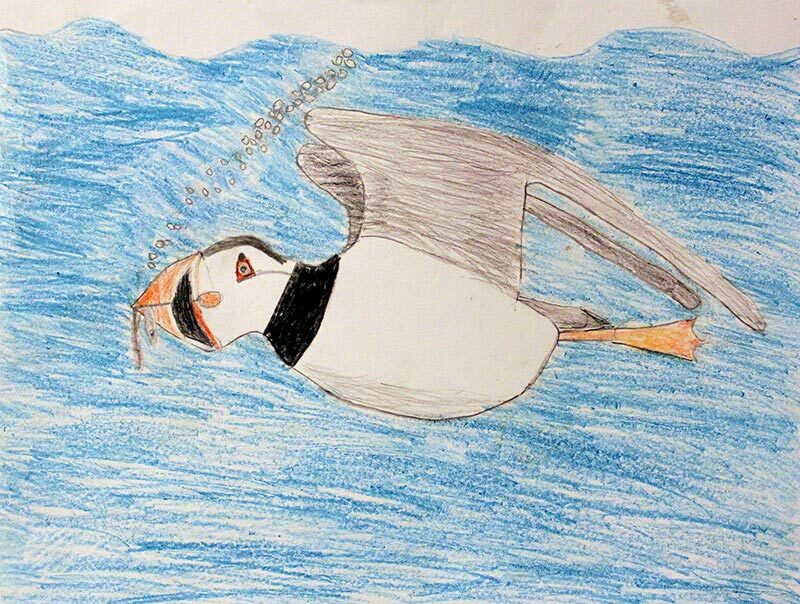 Sponsored by Massachusetts Marine Educators, the theme of this year’s contest was “Amazing Ocean Creatures of Stellwagen Bank National Marine Society.” Everett, grade 2, received Third Place in the Elementary School Division for his illustration of an Atlantic Puffin, while Oliver, grade 4, won an honorable mention for his Wolffish drawing in the Scientific/Nature Illustration Division. Their submissions were among 800 other entries from students grades K-12 in multiple categories. The winning artwork will tour as part of a traveling exhibition around the Massachusetts marine areas throughout the summer.